Save by bundling your accommodations and airfares. Expedia has loads of amazing Banjole travel packages that'll simplify things and give you more money to spend! With more than 400 partner airlines and 321,000 properties to select from on our international database, you won't have any problems planning your dream vacation. It's nice to just wander the streets in a new place, but sometimes it's a wise idea to make a plan. Grab your travel itinerary — we've got some fantastic ideas for your upcoming Banjole vacation. Draw in the clean air and admire beautiful seabirds hovering in the sky at Punta Verudela Beach. Spending time near water is always good for your health. Still have time to spare? Enchanted by the magnificent world beneath the water? Get close to amazing animals and uncover the secrets of the waters of our blue planet at Pula Aquarium. When it comes to accommodations in the center of Banjole, you can't afford to be fussy. However, there are 28 properties in the neighboring areas. With Expedia, arranging cheap vacations and luxury getaways is easy. Want to know what our recommendations are? Take a look at the Boutique Hotel Villa Vulin (Tommaseova 10) and the Park Plaza Histria Pula (Verudela 17). All ready for your trip to Banjole? Planning to fly? Get ready to be welcomed by a crowd of friendly faces at Pula Airport (PUY). It's located 6 miles (10 km) northeast of the neighborhood center. 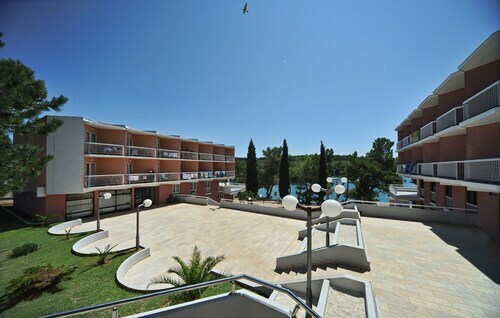 Nestled on the beach, this Medulin hotel is within 6 mi (10 km) of Arch of the Sergians, Kvarner Gulf, and Bijeca Beach. Punta Verudela Beach and Pula Arena are also within 6 mi (10 km). Nestled on the beach, this Medulin campground is within 6 mi (10 km) of Arch of the Sergians, Kvarner Gulf, and Forum. Communal Palace and Golden Sun Casino are also within 6 mi (10 km). Situated in Medulin, this campground is within 6 mi (10 km) of Arch of the Sergians, Forum, and Kvarner Gulf. Communal Palace and Golden Sun Casino are also within 6 mi (10 km). 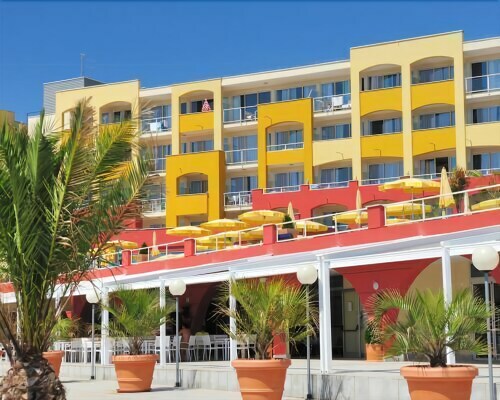 Situated near the beach, this resort is within 6 mi (10 km) of Fort Bourguignon, Pula Arena, and Forum. Punta Verudela Beach and Temple of Augustus are also within 6 mi (10 km). 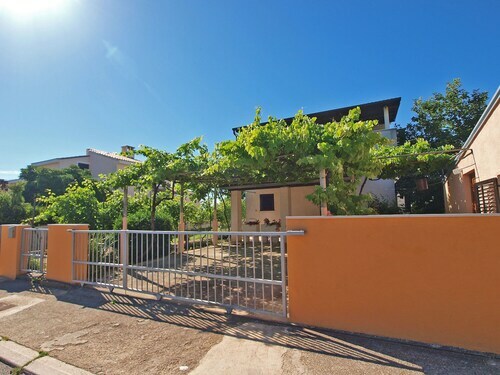 Situated near the beach, this apartment building is within 6 mi (10 km) of Arch of the Sergians, Pula Arena, and Forum. Kvarner Gulf and Communal Palace are also within 6 mi (10 km). Situated near the beach, this apartment building is within 6 mi (10 km) of Arch of the Sergians, Pula Arena, and Kvarner Gulf. Forum and Communal Palace are also within 6 mi (10 km). 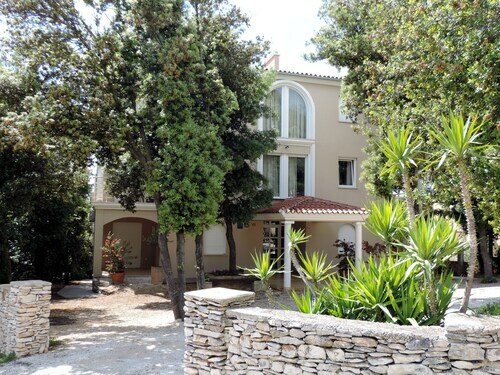 Situated in Medulin, this apartment building is within 6 mi (10 km) of Arch of the Sergians, Kvarner Gulf, and Forum. Communal Palace and Golden Sun Casino are also within 6 mi (10 km).